SMS Sneak Peek #3 & MKC Design Team Day - Welcome to the Funny Farm! 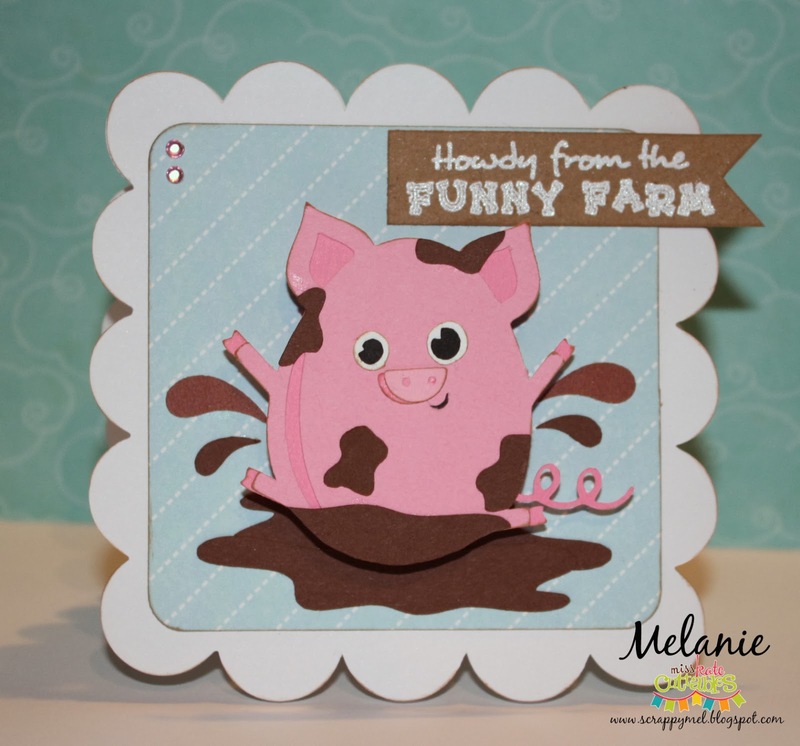 I used MKC Pig in Mud file - isn't he cute?! I cute one extra mud layer so that could put him on a Wobble -the extra layer is adhered to his bottom and I cut the extra paper off. 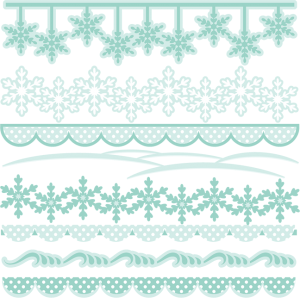 I hope that you enjoyed my little piggie and that you will stop by all the SMS Design Team members, including our Guest Designer - Missy from Quick Chick Designs - this week to see new projects from January's stamp release! PS - Don't forget to stop by and get your Freebie of the Day from Miss Kate Cuttables! Isn't it cute?! 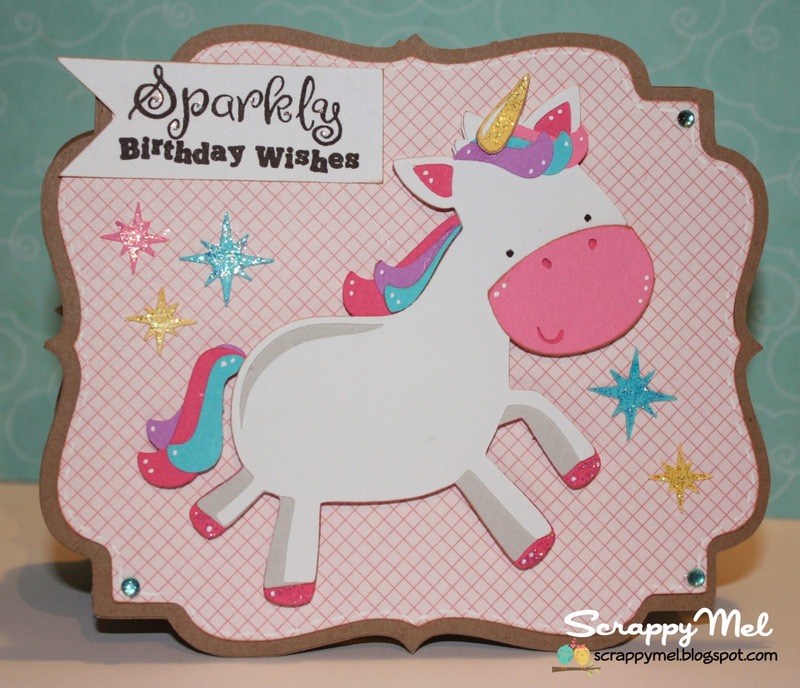 Scrappy Moms Stamps Sneak Peek #2 - Sparkly Birthday Wishes! Happy Saturday (almost Sunday, LOL)! I just finished this cute little card and couldn't wait to post it! My 9 year old is absolutely in love with this card. The sweet little unicorn is from Miss Kate Cuttables - isn't she the cutest!?!? I added Stickles to her horn and hooves. I also added Stickles to the stars and center of the swirls in the sentiment for additional sparkle. 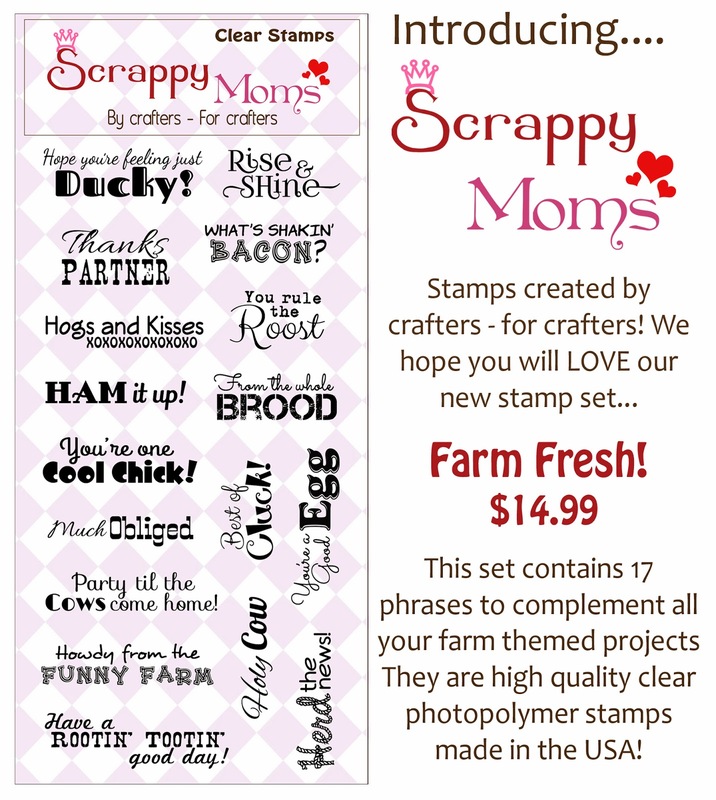 Two new Scrappy Moms Stamps sets - Farm Fresh & Tiny Treasures! 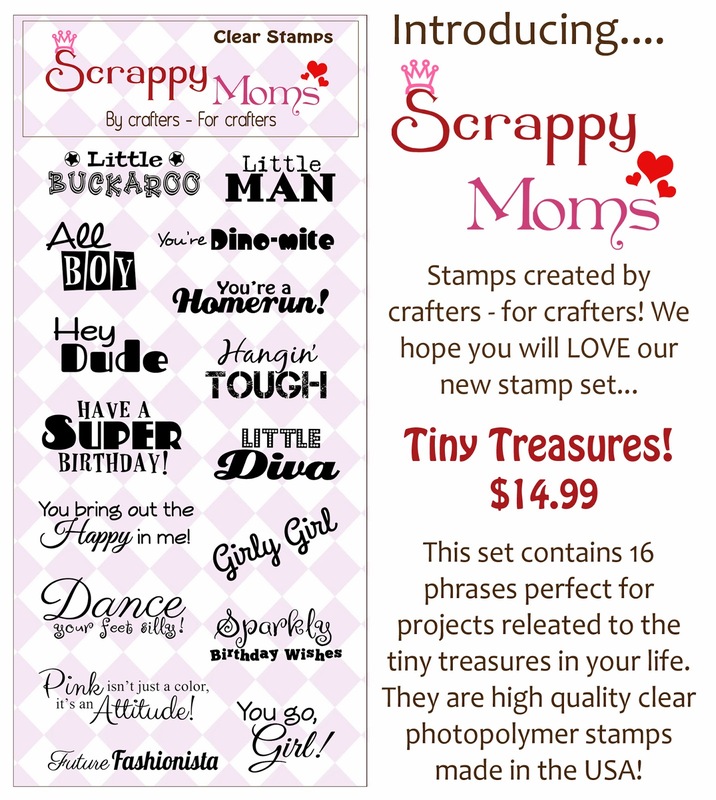 I am so excited to share my 1st project for Scrappy Moms Stamps Jan release! 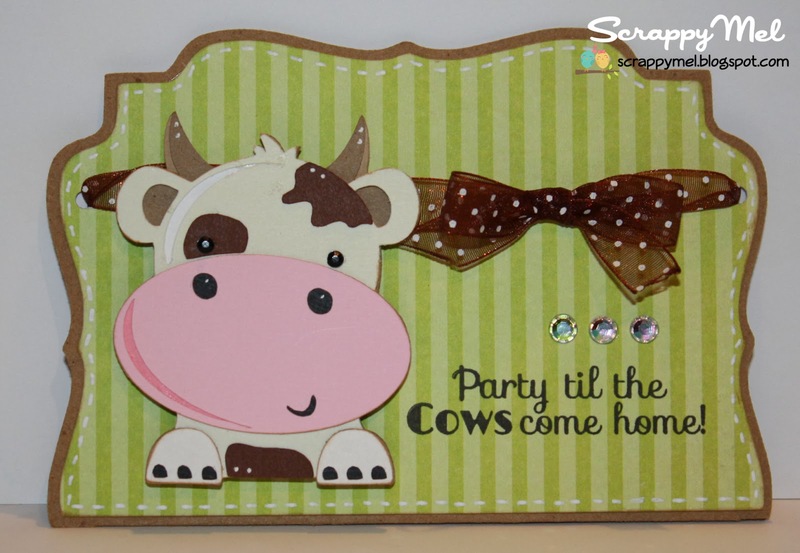 I created this gift card holder in MTC and used the darling little cow from Miss Kate Cuttables. The file cuts the base and the overlays (the patterned paper on the front and the white layers inside). 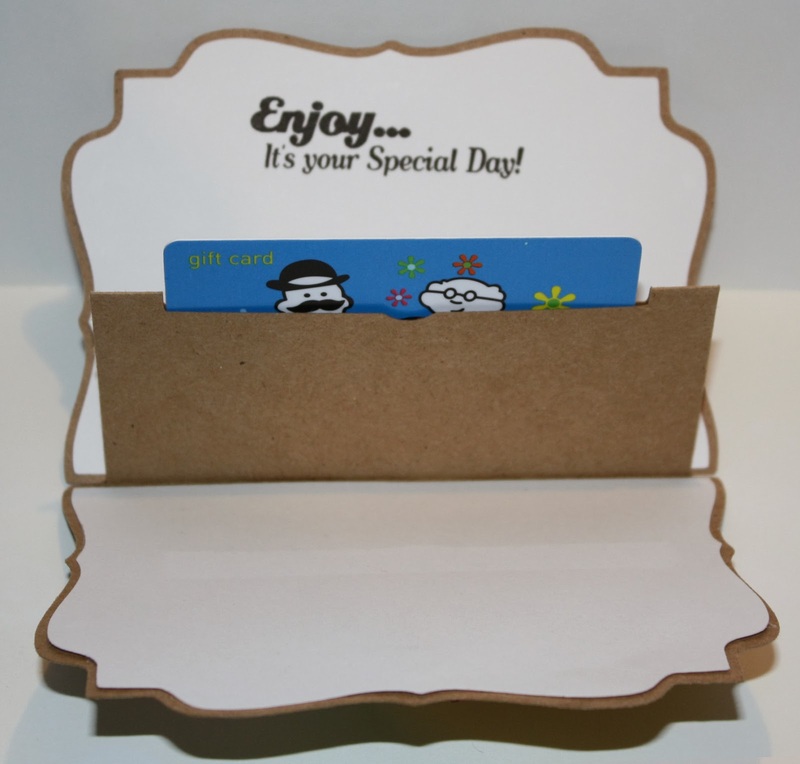 I used Basic Grey's magnetic snaps to keep the card closed. They are under the white layers on the inside so you can't see them. Finally, I used a sentiment from our new Farm Fresh stamp set on the outside and a sentiment from Birthday Hugs for the inside. I hope you like my little gift card holder and that you will come back this week for more new projects using these two new sets. 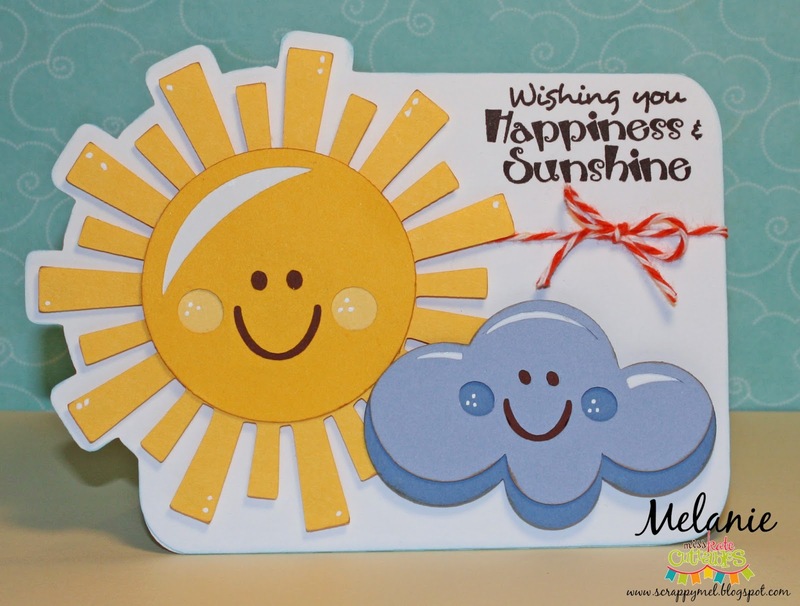 Be sure to visit all the SMS Design Team for new projects, including the January Guest Designer - Missy from Quick Chick Designs! 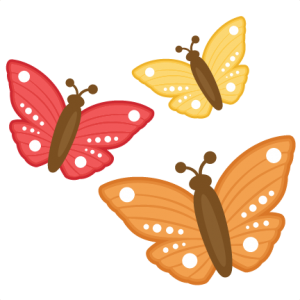 Terrific Tuesday Challenge - Red and Yellow! 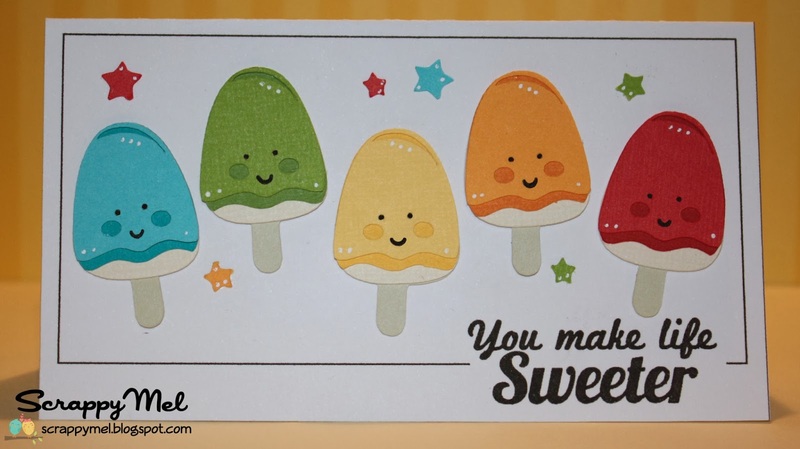 I hope that you liked my card and that you will come join us and link up your project that uses red and yellow for chance to win a Scrappy Moms Stamps set of your choice. 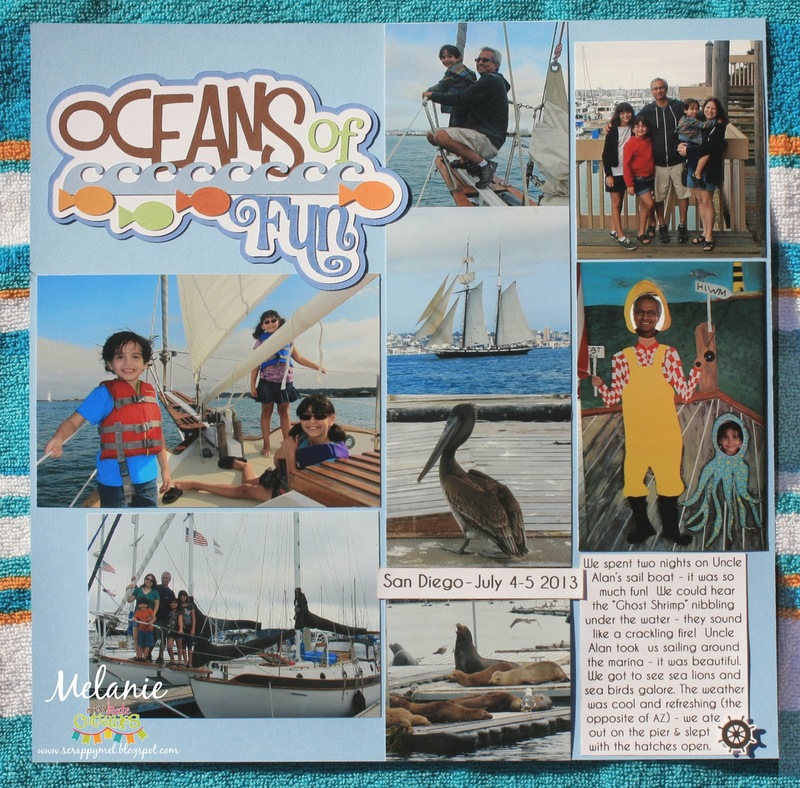 I used one of Miss Kate Cuttables fabulous title files - Oceans of Fun - to complete my layout. MKC has TONS of great title files to help make unforgettable scrapbook layouts! Be sure to get your Freebie of the Day too! Thank you so much for visiting today - I hope you enjoyed my project! 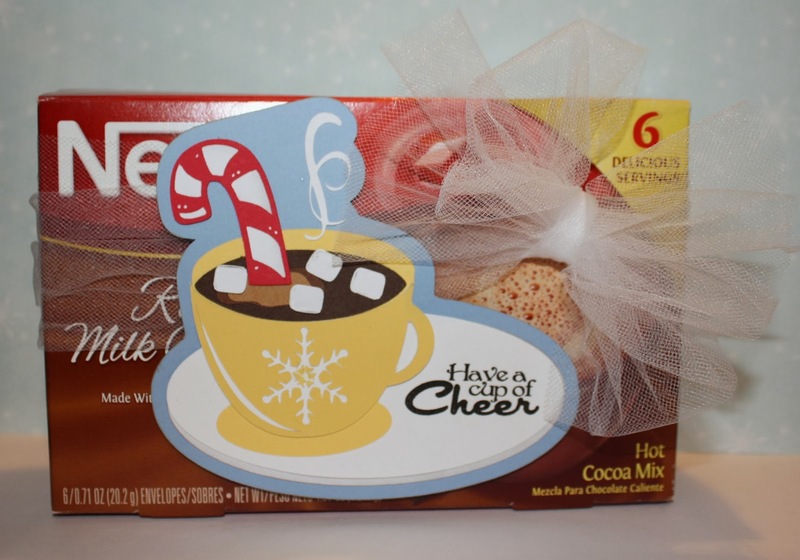 Terrific Tuesday Challenge - Warm Fuzzies! Hello, everyone - thank you for stopping by to check out my TTC for this week! 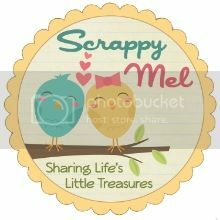 Come link up your "Warm Fuzzies" project for a chance to win a Scrappy Moms Stamps set of your choice! Guess who is a new Miss Kate Cuttables DT member?! ME, that's who!! 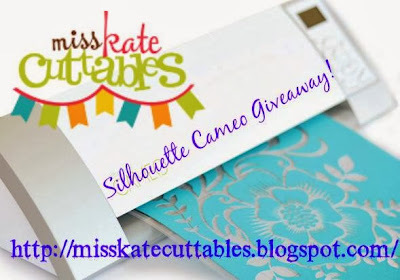 I am so excited to announce that I am now a 2014 Miss Kate Cuttables Design Team member. Thank you so much for stopping by and congratulations to the whole MKC Design Team!